With the announcement of the start of demolition, we visited the Bianca construction site with Steve Ireland, Project Lead, to see what was happening. Currently, the construction management team is working towards the start of construction, anticipated for late summer. The abatement process began in January 2018. 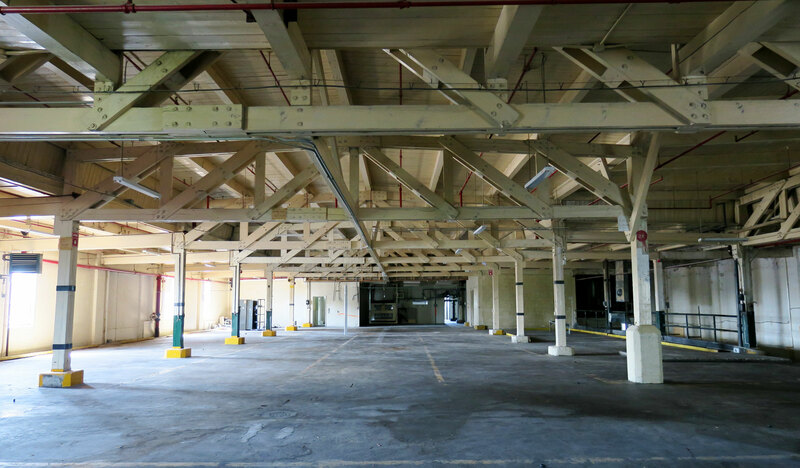 It involves safely stripping and breaking down of the interiors of the existing buildings. As the buildings are dismantled, materials are gathered into piles. The piles are then sorted into various building material categories for recycling or appropriate disposal, overseen by GFL Green For Life. Bricks are re-purposed for use as as clean fill. Concrete is crushed and reused. Garbage is disposed of at a Green For Life facility. A tour of the inside of the buildings revealed that essentially only the shell of the buildings remained. The abatement process is now complete and demolition work has begun. The existing buildings on site will be removed over the course of the next two months. Hoarding, the construction fencing around the site, is anticipated to be installed this August. 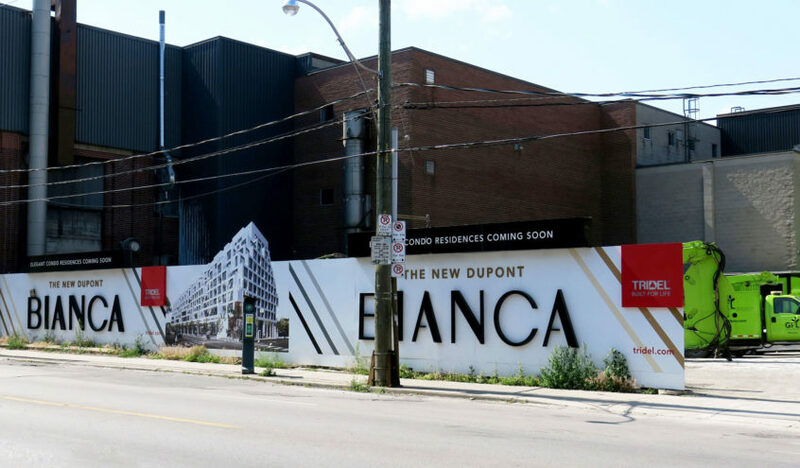 Once complete, Bianca will stand at 9 storeys and include 216 suites with a ground floor retail component. You can keep up to date with activity on-site with the Bianca live construction camera. You can learn more about Bianca, including Prices & Floorplans, on our website. 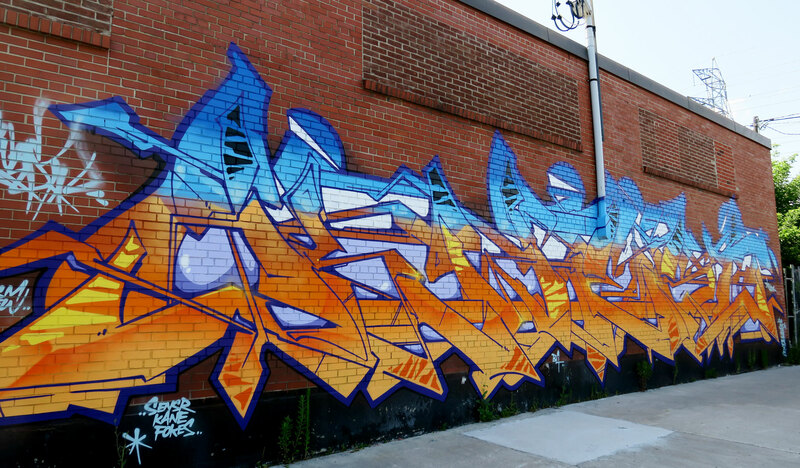 If you’re in the neighbourhood, make sure you don’t miss the mural on the east wall of 420 Dupont St., facing Howland Avenue. Kwest, a Canadian street artist known for creating the largest graffiti sculpture in the world – among many other notable works, was looking for a space to film the creation of a new piece of art. Luckily, we just so happened to have a clean brick wall available. The mural at Bianca is temporary. Make sure you visit the site before the end of July if you want to see it.